Something new from the Southern continent has arrived. 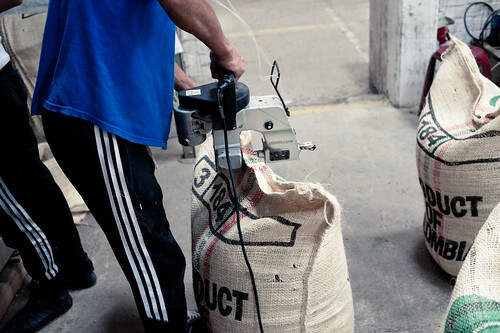 We are really excited to roll out this new single origin from Colombia, a beautiful country which we visited last July. We were amazed by the landscape and this country is truly blessed with widespread agricultural land. 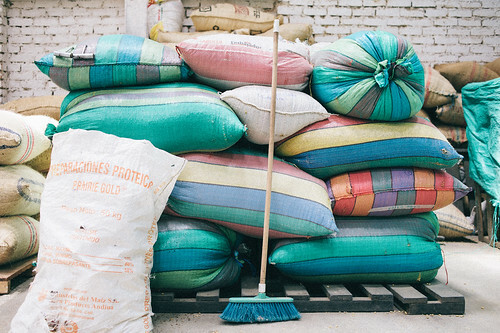 As we only had limited time to explore this country, we spent most of our time in the Huila region. During this trip, we were introduced to an exporter, Jairo of Banexport, who specialises in specialty coffee. It was through this relationship that we manage to bring in 2 coffees from Colombia this year. We first tried the sample of El Palmito back in Oct last year. We were really impressed by its sweetness and clean cup. We knew immediately that we wanted this coffee, especially when we found out that the farm is only a tiny 8 hectares in size! 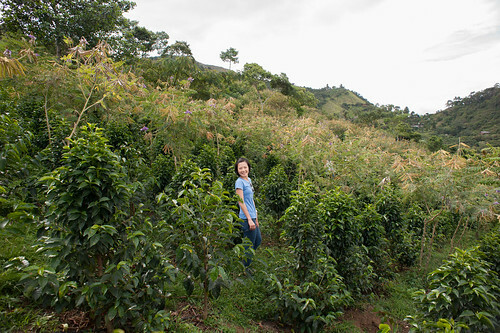 This farm has both the caturra varietal and the Colombian varietal. This microlot which we bought is 100% caturra and was processed separately from the Colombian varietal. This coffee works beautifully as a brew. Stonefruits and sugarcane sweetness dominate this cup. We taste apricots, peaches and Red Delicious apples. This is a crisp and clean cup. 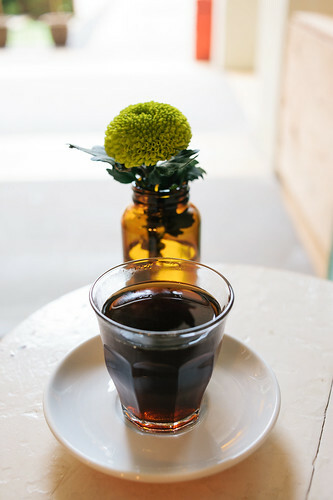 The sweet lingering finish has hints of chocolate which we think will make this coffee a crowd pleaser. This is our first direct import from Colombia and we look forward to revisit this country again to source for coffees from other regions. The past week has been an incredibly exhausting week, trying to get over our jetlag from the trip to Central America, and yet excited with the rollout of a couple of new coffees. Next up, a refresh of our Four Chairs Espresso version 2. Continuing our belief in creating an espresso that is sweet, balanced, clean, satisfying and memorable, we chose to work with two fresh crops that arrived last month. We visited Colombia for the first time last July and fell in love with this country almost immediately. Having to spend the night at the Bogota airport after missing the connecting flight in from Houston did not dampen our spirits as we headed straight into the mountains on touch down in the city of Cali. 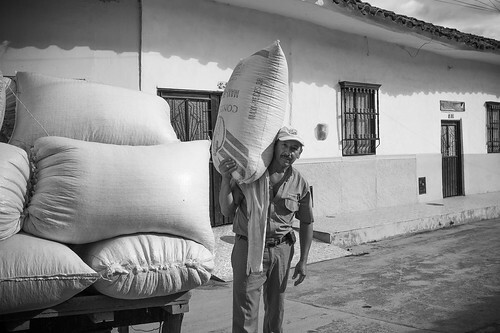 Visiting the regions of Cauca and Huila, we came to understand why this country is so blessed with great coffees. 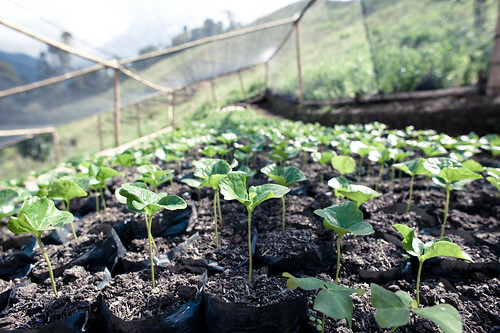 Each region has its own terroir and climate, and even though the country has been hit hard by the coffee rust in the last couple of years, the signs of recovery is definitely on the horizon. Most important of all, the coffees are really tasting delicious. Out of the many coffees that were cupped with Jairo of Banexport , we picked up two, and one of them is a lot called Monte Bonito made of 3 very small farms in the area of Pitalito. 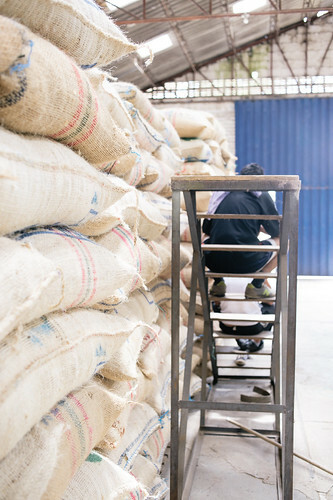 This coffee is 100% caturra and is wet processed through a 22 hour fermentation period before drying out in a parabolic shade that is very common in Colombia. The second coffee that we have in the blend is from Fazenda Ambiental Fortaleza. A farm that is probably familiar to many as we have been working with them ever since we started in 2012. Marcos and Felipe Croce have not disappointed, this harvest is tasting really good and probably better than last. Together, the two coffees work quite wonderfully. Come by to taste some if you have not or grab a bag here.